I’m kicking off a trial today about something quite different from the usual services I test. Quite simply, it’s a product designed to help you preserve your bookie accounts for longer. As such, it may hold serious appeal for a lot of my readers. As the number 1 issue they raise is the pain of having accounts limited or closed entirely by over-zealous bookmakers. It’s quite clear that a solution to this problem is being sought by many. And it’s just possible that this product provides a big part of the answer. Welcome then to my trial of Jolly Lock IP….. There is a serious back story here that boils down to one thing. It is extremely likely that the bookies are spying on you. There are lots of claims flying around about exactly how they are doing this… with a piece of software called IESnare being the most commonly cited culprit. Now, this is a particular issue if you are a user of Matched Betting software such as OddsMonkey or Profit Maximiser. As your entire source of regular income could, any day, be jeopardised by a digital encounter with a few inquisitive bookmakers. So… how does Jolly Lock IP aim to help you fight back? Well, the basic idea is very simple. Jolly Lock provides you with a virtual desktop in the ‘cloud’ (i.e. somewhere else on the internet) that you log into your accounts from. This environment is created as and when you need it and is designed to be completely free of nasty virtual spies. As I understand it, this is absolutely not the same thing as just using a virtual IP address. 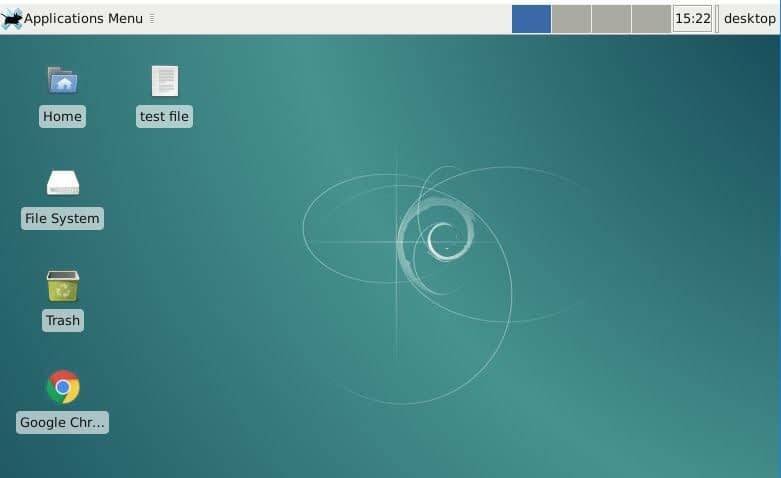 Your new virtual desktop is created ‘out of thin air’ every time you log in. So nobody should be able to see what you’re doing… nor will they be able to use that insight to curtail your matched betting enterprise. I absolutely love the concept… and if it works, there could be a queue down the street to get involved. I can’t wait to give this a whirl. I cannot prove that use of virtual desktop software will save your bookmaker accounts but I have a real hunch that it should help. So: I intend to use the product for the next few days in order to learn more about it then return to give you my impressions of what it offers punters. This really might be a significant moment for matched bettors everywhere. Let’s hope so. 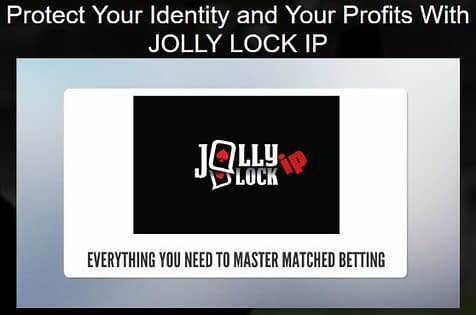 In the meantime, if you’d like to find out more about Jolly Lock IP, you can do so here. If there is one problem I’d love to fix, it’s the perennial one of bookies limiting accounts. And it’s quite clear from my postbag that I’m far from being the only punter who feels this way. It’s a regular complaint from ordinary folks who’d like to be able to use bookmaker services but feel unjustly barred from doing so. Inevitably, the strength of such feelings has come to the attention of software entrepreneurs looking for a problem to solve. Which brings me to one particularly promising attempt at a solution: Jolly Lock IP, which I’ve had access to for around a week so far. I’m quite impressed so far, with a couple of caveats. Set-up of the product is very easy and quick. You are issued with a two-page PDF that any reasonably competent computer user should be able to follow very easily. And in just a few minutes, you find you’ve downloaded the connection software to your PC and connected to a remote machine. You then connect to the internet by double-clicking the Google Chrome icon in the bottom left-hand corner. And from here, you login to your bookmaker accounts in the usual way. 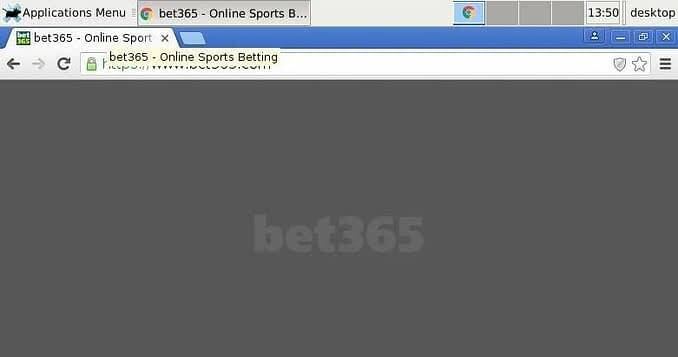 I have used several bookmaker accounts with the service already. Specifically, I have logged into: Bet365, Betfair, Betfred, Coral Sports, Corbett Sports, Ladbrokes, Skybet and William Hill. And I’ve successfully placed bets with Coral and Skybet. I have found the service to be easy to set up and use and the screen refresh rate to be perfectly acceptable and generally as fast as a regular PC. Well generally yes, though there has been one issue that I’ve raised with Jolly Lock. You see, I can’t get Bet365 to work. I am unable to log out of Bet365 in order to try logging in again – and when I attempt to close my remote desktop and start again from scratch, a return to the site presents the same blank screen. I wrote to Jolly Lock to report the problem and they responded to say they were aware of the issue, describing Bet365 as a “problem bookie“. Their technical team are apparently working on a fix at the moment. I would suggest that this needs to be a high priority as Bet365 is a major bookmaker who offer attractive prices. Incidentally, I have since logged into Bet365 from my PC desktop in the usual way without difficulty. This product offers the opportunity to be able to use bookmaker accounts without fear of being watched by the bookies. And, as far as I am able to tell, the vast majority of bookmakers are happy to deal with me in this way. My experience with Bet365, however, does bother me a bit as it suggests that they can tell I am not operating in my usual manner. It’s not just that they think I am logged in from somewhere else – but rather it is clear that they believe I am behaving in a way that they are not entirely happy with. I have no idea how much of a problem this is but it does underline the point that the bookies are watching us … every step of the way. 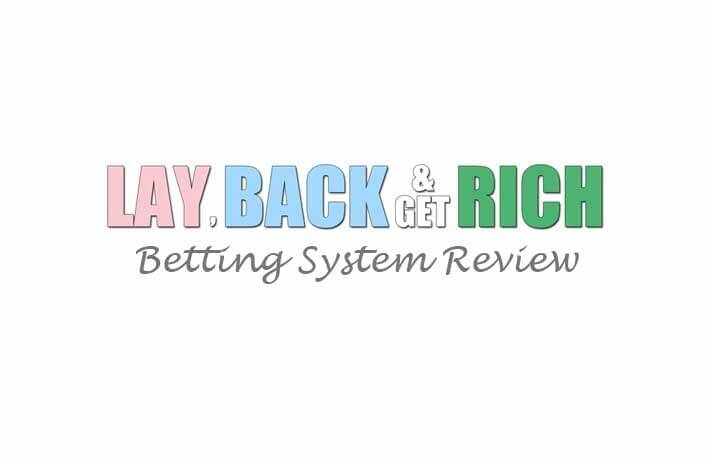 I intend to play with my Jolly Lock account for another week or so, including carrying out some matched betting, then I’ll return with my closing thoughts on the subject. It’s several weeks since I first got my hands on Jolly Lock IP. This clever bit of software basically allows you to connect to bookmaker sites with a different IP address from your own. But it does so in a way that differs radically from traditional VPN solutions, as we’ll see below. I wrote up my initial thoughts in mid-February, when I was still finding my way with the product. However, a month further on, I’m ready to draw my overall conclusions. And I have to say, I believe that Jolly Lock IP deserves your attention. The first thing to say is that set-up of the product is very easy and quick. The instructions are clear, accurate and simple, with good use of graphics and commands that actually match what happens on your screen. (Is there anything more frustrating than finding that a list of click-this-then-click-that steps doesn’t bear any resemblance to what your computer actually does?!). Secondly, you don’t need to be a techie to use this product. I’m anything but and had no difficulties with it. So I’m confident that any reasonably competent computer user should be comfortable getting this thing installed and working. Thirdly, in general use, bookies seem happy enough to deal with me. I have logged into quite a few of my bookmaker accounts without incident and placed a number of bets. I have also other features such as slots and games without a problem. The only exception has been Bet365, who flatly refused to talk to me last time, but did seem to think I was worth doing business with when I tried a second IP this week. Indeed, I was even able to use Flash games this time, when previously I hadn’t been able to place a basic sports bet. I have long suspected that Bet365 is the most technically advanced of the bookmaker sites — it’s certainly the richest — so it’s perhaps unsurprising, therefore, that they have been able to smell a technical rat from time to time. Whether the other bookmakers will catch on in due course is impossible to say. For now, their sites work fine, with excellent screen refresh rates and all the usual features functioning normally. For instance, I was able to ask Ladbrokes to remember my username. I then logged out of Jolly Lock entirely, went back in again and found that my login was still there and Ladbrokes were happy for me to sign in again. With Jolly Lock, you first connect to a virtual desktop in the cloud – and only once there do you fire up a browser window. A VPN, by contrast, is purely a connection, the software for which runs on your machine. With Jolly Lock, you connect to the wider internet from your remote desktop so it follows that no spyware can be loaded to your computer. The IP address you are allocated is static. So, to a bookie, you appear to be in the same location every time you log in. This, I understand, is not guaranteed by a VPN. It was easy enough to check that I was getting the same IP each time. I simply logged into Jolly Lock, went to Google, asked it what my IP address was then logged out completely. I then connected a second time and repeated the query – and was advised that my IP hadn’t changed. This is different to traditional VPN’s which focus on hiding your existing IP rather than giving you a static, different one. I am even told they are not that good at concealment either, being sometimes incompatible with websites running Flash (such as casinos or slots) that may expose your desktop’s real IP. This is never a problem with Jolly Lock as you simply don’t connect to the internet from your desktop. The software even lets you run more than 1 IP at once. For instance, this week, I’ve been running a two-licence copy, logging into and out of each virtual desktop in parallel, and checking that each one received the same IP address every time. 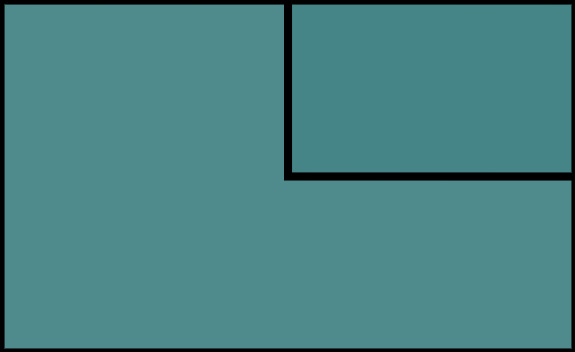 (cf. VPNs which, I gather, usually limit you to one IP per computer). It follows that Jolly Lock gives you the flexibility to operate different bookie accounts via different IP addresses: though do be careful and make sure you don’t get muddled up. You might create problems for yourself if you log in to a website with the same account from different remote IP addresses. I’ve seen one or two websites claiming that Jolly Lock costs about the same as a VPN. Well, it doesn’t; it’s more than twice as much. A single licence version retails at £25 per month. In contrast, ExpressVPN charge $12.95 a month, or around £10.50. However, that said, the two products really aren’t comparable. The risk that your desktop IP address is exposed. Slow VPN connections – Jolly Lock is fast. So the only cloud on my horizon has been my mixed experiences with Bet365. In short, sometimes Jolly Lock worked with the UK’s biggest bookie and sometimes it didn’t. With this exception, Jolly Lock really does seem to offer a significant step forward in the fight to preserve our accounts. In short, if the bookies can’t spy on us, we can bet with confidence. You still have to use common sense when you place your bets, of course. There is no single panacea for trigger-happy bookies looking to limit accounts. But Jolly Lock is a leap forward in our ability to defend ourselves against the highly questionable tactics that the bookmakers nowadays use. As such, it therefore earns a Pass mark from me. To find out more, and get your hands on the product, just click here.